I love Ghee. 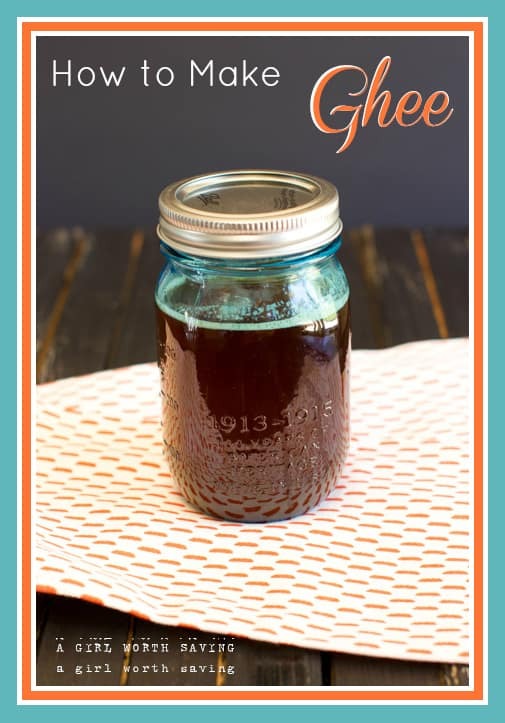 I love how easy it is to make Ghee and well, I like to make it fast. First, wait, let me back up. What is ghee? 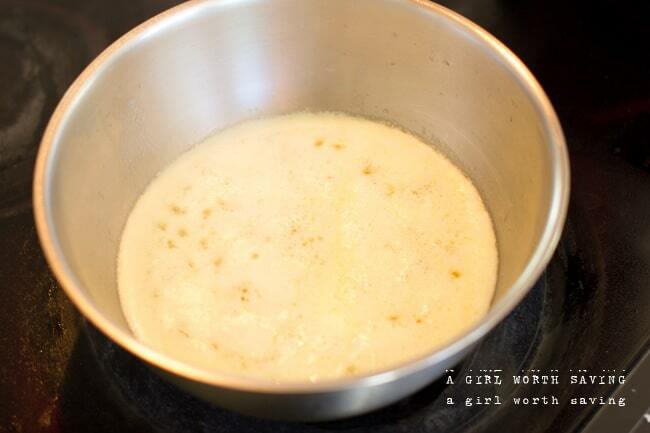 It’s clarified butter so you are removing the milk solids and water from the butter leaving you with pure butter oil. It’s has an incredibly long shelf life and needs no refrigeration. Simply put it’s awesome to cook with and most of the time when you see it, it’s a golden blond color. Myself, I like it more of a caramel color as the hazelnut finishes are stronger and more developed. Now, the first time I made it this way, I wasn’t paying attention and thought I had made a major mistake. However, when I tasted it, I realized that I love it even more this way. It is not for everyone though so I’ve listed when to pull it if you don’t want yours as browned. You’ll need 1 pound of butter and either a coffee filter, paper towel or cheesecloth. 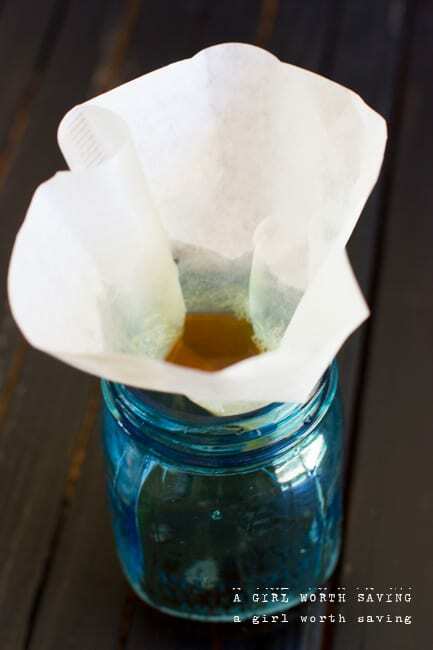 Using cheesecloth will be much quicker than a coffee filter. Also, I’ve gotten feedback that some people have had issues with their coffee filter taking FOREVER to strain so just USE Cheesecloth. 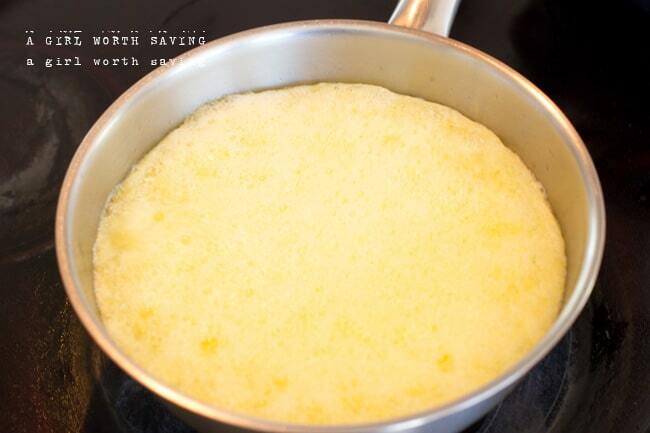 Place your butter in pan over medium heat. Now, I’m cooking this rather high because I want to be done. You could put this in a crock pot for 3 -4 hours if you want. Now cooking this fast means no walking away. No chatting on Facebook or Twitter. You have to pay attention the entire time. The butter will be very active and bubbly. This was 5 minutes into cooking. Notice how the milk solids have formed a ring around the oil. All the solids are now at the top. If you want your ghee to have that glorious blond color, it’s done. It’s been 10 minutes of cooking time. If you’re still not sure it’s the right time look at the photo below. If you see this expansion, it’s done and pull it immediately. Now, if you want it darker, the mix is going to expand a bit and it will be much quieter. Let it cook for 3 more minutes and pull it from the stove. After the foam settles you’ll have this. 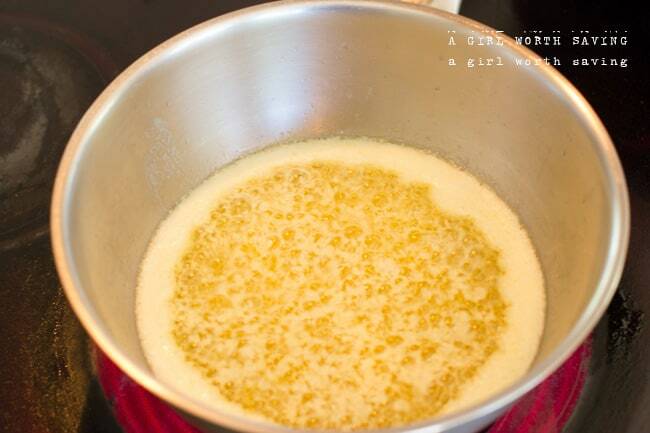 A rich, caramel ghee. Now comes the fun time. 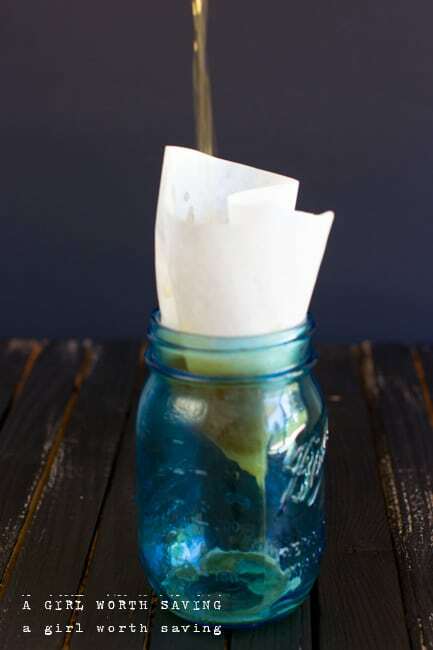 Strain through a paper towel or cheesecloth into a pint jar and seal. I’ve seen this used on cooking shows all the time but I had no idea how they made It or if I could buy it. This LOOKS super simple (although I’m sure it’s not for a first timer) but honestly, I don’t actually know of any recipe that calls for it. I love your site and use your recipes regularly. 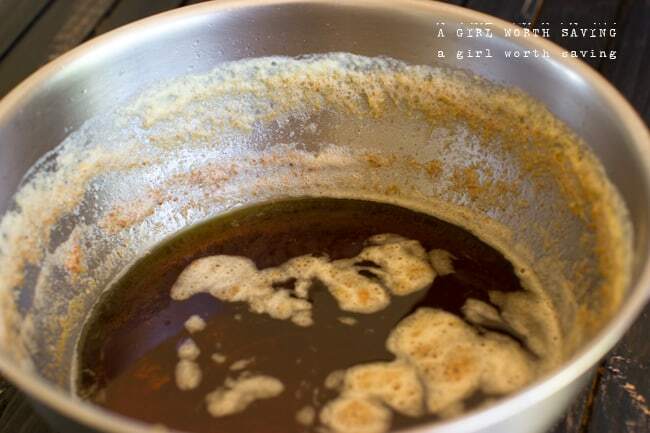 I appreciate pictures of the ghee making method and the lighter and darker alternatives. The only negative I have when I’m at your site…that blasted rectangular sharing bar that floats in the middle of the page. It blocks the top half of my screen from reading. Does the Pin It-Tweet-It-Google+ It-Stumble Upon It bar have to be slap dab in the middle of the page? Can I move it? It’s as annoying as flies in the kitchen when I’m trying to cook. I just want the dang thing gone. Hrmm. . . I’m trying to figure out the best share button for my site so thanks for letting me know that it’s blocking content! Thanks for the comment Felicia! I have never heard of Ghee before. So do you just use it for everything that calls for butter? oh wow.. I didn’t know we can make ghee at home!! Thank you so much! Maybe the deep dark honey colored ghee I made for the first time wasn’t ruined! OMG! I threw it away thinking I had blown it…thought it was burned! Next time I will start with the blonde version and then work up to darker shades in subsequent versions. Hi Deidre! I was seriously thinking about you hun so I’m glad you commented. Yep, it probably wasn’t burnt. Now you can burn Ghee and trust me, it will taste terrible too. If it’s brown and it still tastes like hazelnut it’s fine! I’ve heard of it, but never seen instructions for making it. If I substitute it for butter or oil, do I use the exact same amount? Thank you for posting this ‘how to’ tutorial. I would love to try making this. I had no idea it was so easy to make. That settles it. I am doing this. Thanks! I love ghee, although I don’t usually brown it as much. I fell in love with it when living in Leeds (UK) – it is used a LOT in Indian food, we livied in a predominantly Indian/Pakistani area of the city and ate a LOT of curries! 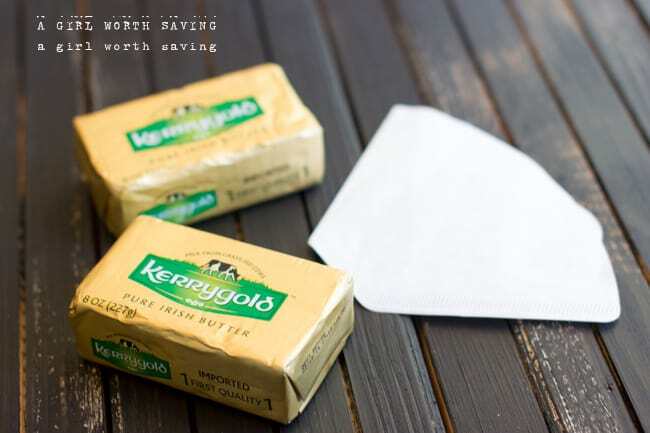 Unfortunately it is all but impossible to by real grass-fed butter in Canada (even the Kerrygold sold here is not grassfed – not sure why, I suspect for political reasons, the same as it is impossible to buy raw dairy in any form). So I just use the best quality organic butter I can find when I make it. Wow, that’s crazy. I had no idea that Canada was so restrictive in terms of buying grass-fed dairy or raw. Lord, my husband would cry a river (or just plain move) if he couldn’t get his raw milk. Once you make the ghee does it have to be refrigerated? Does it go bad? Also I strained mine more than once…because it wouldn’t go through the coffee filter that I had.. and so if the milk fat gets in there is that ok? The milk solids will make it go bad so you don’t want them in there. Cheesecloth works great and so do paper towels. You might want to cook this on lower heat Sarah. It sound like your heat is too high so it’s skipping a step. You mentioned doing this in a slow cooker. Would it be on low & how long should I let it go? Thanks for posting this, I am so excited to try it! I would make it when you are home hun. You would cook it on high for 2.5 hours and low for 1.5 hours. 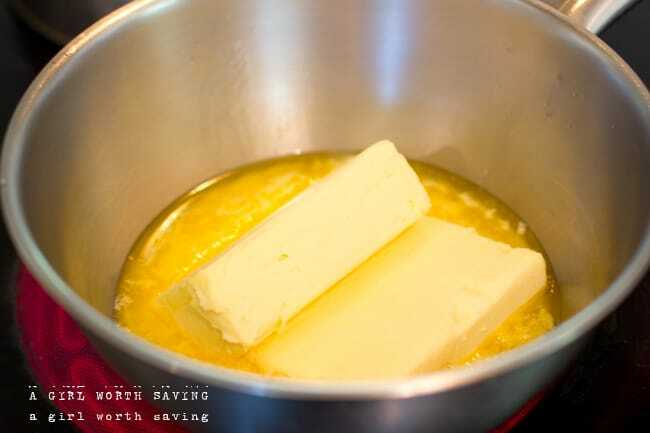 None of the Ghee recipes indicate if you should stir the butter as it cooks. Can you answer this? Also, mine always turns light as it cools in the cabinet. Is that still ghee??? Hi Kelly, this looks easy and I’ve love to try it. Can I use salted organic butter?